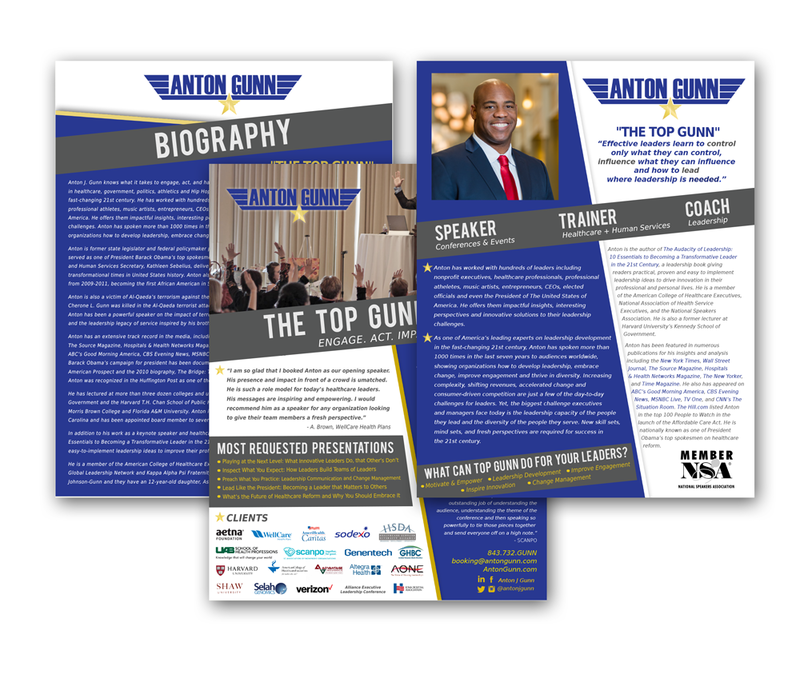 Anton Gunn is an international Motivational Keynote Speaker, Author & Leadership Coach. 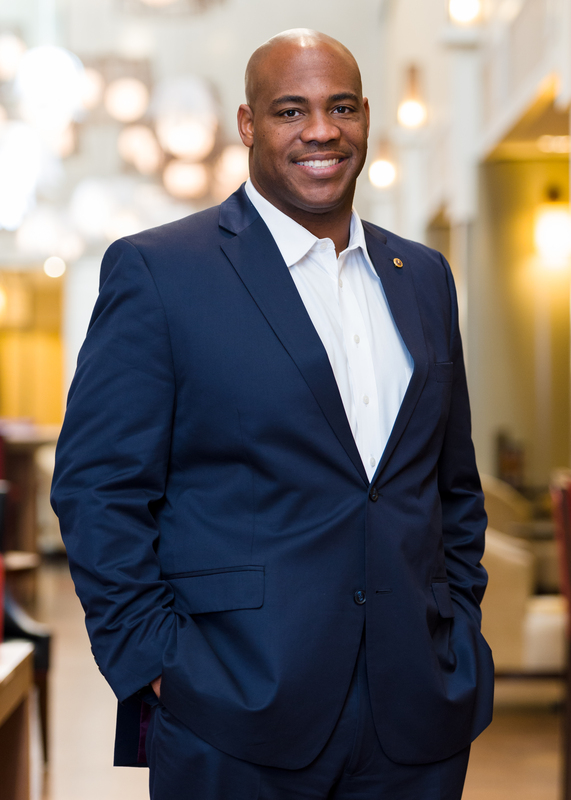 A former advisor to President Barack Obama, Senior HealthCare Executive and South Carolina State Legislator, in 2016 Anton was looking to update his brand. He wanted his brand to be more than Healthcare and being an HealthCare expert – to be more encompassing of who he is as a whole, which would give him a chance to promote HIMSELF comprehensively, not just what he does. He also wanted to go in the direction of calling himself the ‘Top Gunn’. 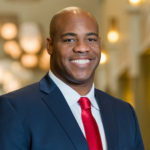 Because of his family’s military background, Top Gunn being his former nickname while playing for the Carolina Gamecocks in the mid 90s and his experience in governmental work. In addition, his brother, Cherone, was killed in military combat and he wanted the world to know the simplest way he could symbolize what he has become after his brother’s death. 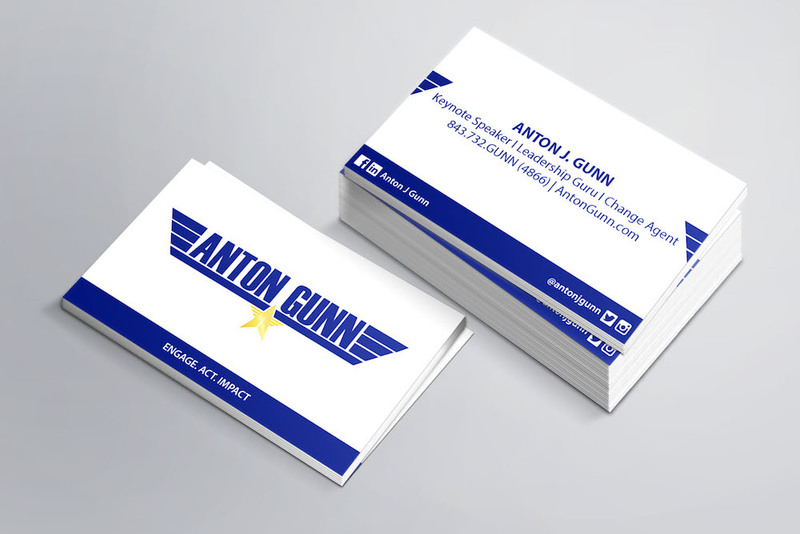 Through a collaboration with S.C’s Haphazard Designs and Crush Rush Photography, we created a new look and imagery for Anton based on his story. This new design can be seen on all of Anton’s materials, his website, as well as the new series of videos we will be producing for him. OTR Media Group has been instrumental in the development of my brand strategy for the market. They have provided me with all of the tools and services to make me stand out in the market. From graphic design, video editing and production, OTR has given me everything I needed and more. They are my trusted partner for all of my media needs.